← In honor of the running of the llamas in Sun City, Arizona, today, I revised. I have just been on spring break and used the week to work on revisions for my book, Angels of the Underground. There has been a lot to do, especially at the beginning of the manuscript, where the reader has to be drawn into the lives of four very different American women. The one thing the women all had in common was that they left their home country and settled in the far off Philippine Islands. They each had different reasons for doing so, and each thought she had found her particular kind of paradise. That was all upended on December 8, 1941, when the Japanese attacked the Philippines. 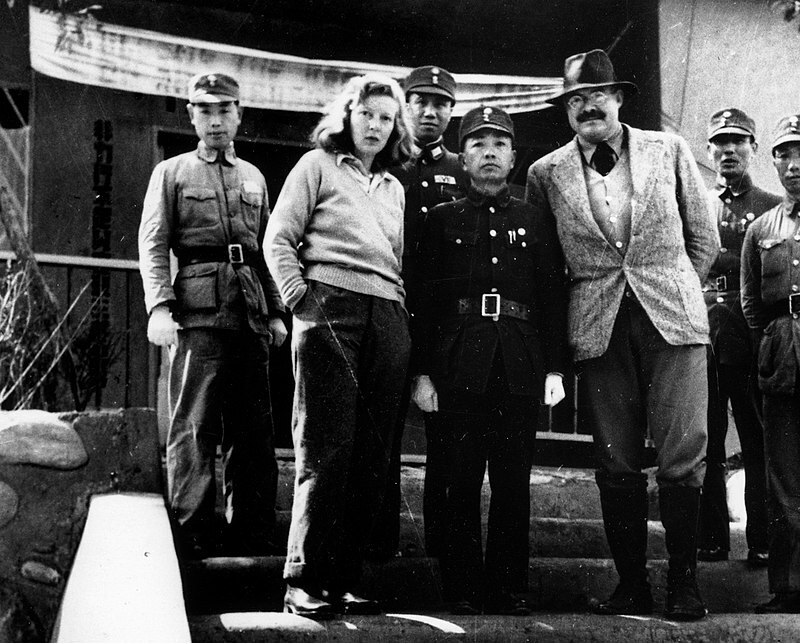 I was reminded of the journalist Martha Gellhorn (pictured here in 1941 with Chinese military personnel and her husband, Ernest Hemingway) who once observed that “War happens to people, one by one.” That’s how I’ve been thinking about the four women in my book. One by one, they each grappled with the reality of the Japanese attack and the subsequent occupation. They each decided to resist. Though it seemed like an easy decision, it was, of course, fraught with danger. One by one, they did what they thought was right to help bring about an Allied victory. And each one paid a price.